Date of Birth:- January 13/1961. Place of Birth:- Addis Ababa, Ethiopia. Marital Status:- Married to Mrs. Elleni Solomon Abay. Educational Background:- MSC on Political Economy andInternational Relations from the State University of Leningrad, (today’s St. Petersburg), Russia. Joined the Ethiopian Foreign Ministry in 1986. 1986-1989, Second Secretary at the European Department of the MFA. 1989-1991, First Secretary at the European Department of the MFA. 1991- 1992 Counselor, European Department, MFA. 2001-2006, Acting Director General for Europe and the Americas, MFA. 2006-2009, Ambassador Extraordinary and Plenipotentiary of Ethiopia to Italy, also covering Greece, Cyprus, Malta, Ex-Yugoslav Republics. 2009-2011, Director General for International Organizations, MFA. 2011- 2015, Director General for European Affairs, MFA. March 2015 – June 2018 Ambassador Extraordinary and Plenipotentiary of Ethiopia to the Russian Federation, the Republic of Belarus and the Republic of Armenia. 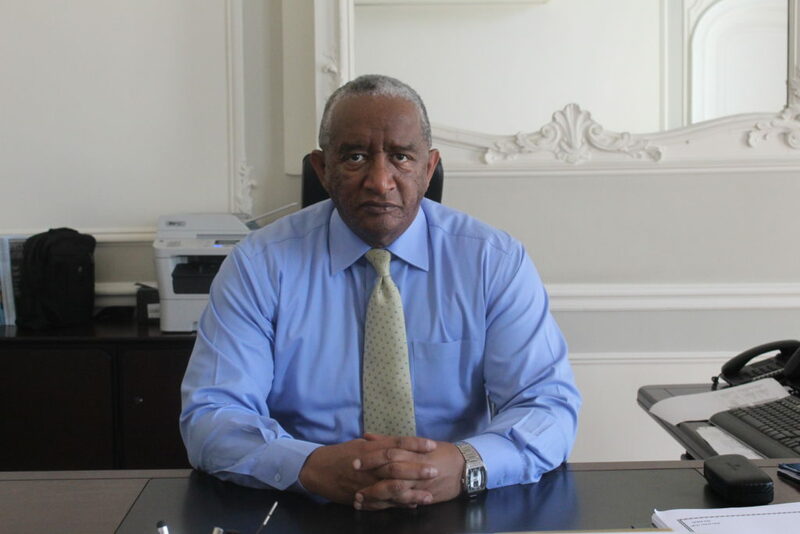 Ambassador Grum Abay Teshome speaks English, Italian, Russian and French, apart from his native language Amharic. Awarded the Medal of Civil Merit, Commander Grade, by H.I.M. King Juan Carlos of Spain, November 2013.